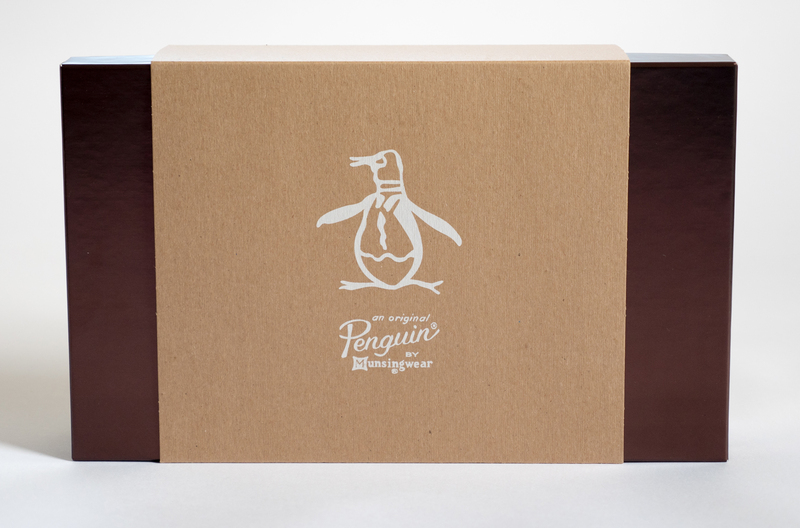 Original Penguin Men’s 4 piece gift set. Satin Foil with uv spot details and a opaque white on craft paper sleeve. Two tubes, a 100mL bottle and a travel size mini.